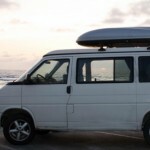 My 1993 VW Eurovan Weekender was purchased from a family in the Bay Area, California. The father is also a handy type guy that worked on his van a bit, and he also had a newer model that they decided was going to be their only van. One of the upgrades he made was a sound system with some Sony speakers in the doors. 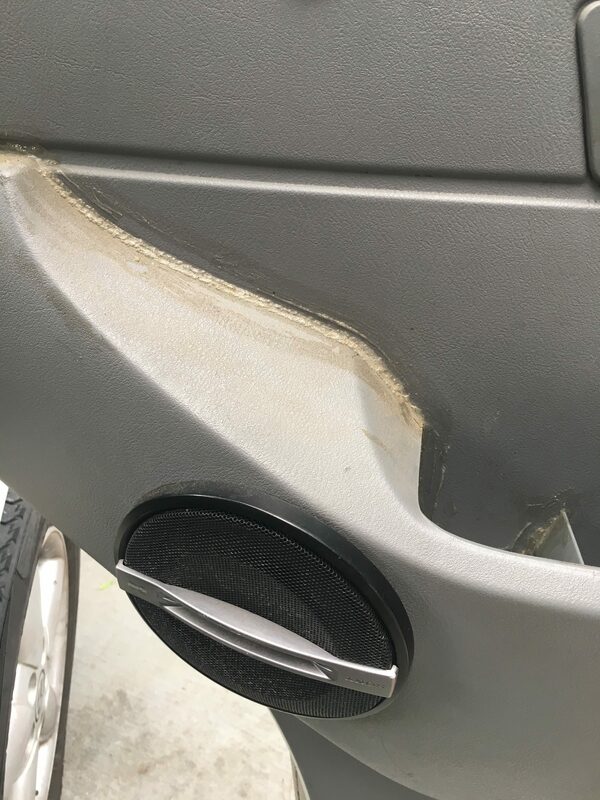 When he performed the upgrade, something went wrong… not sure… but the door always had a messy glue/silicon and a few cracks. Well, 8 years later, I finally had the chance to swap the door cards for some in better condition. I had to cut new holes for the power windows switches and the power mirror adjustment. The new ones lack the fabric, but I don’t really mind since I normally rest my arm on the seat armrest. I also doubled up on the insulation (my old and the new). New ones also have black handles, and I was able to use the factory speaker grill covers (with the Sony speakers). 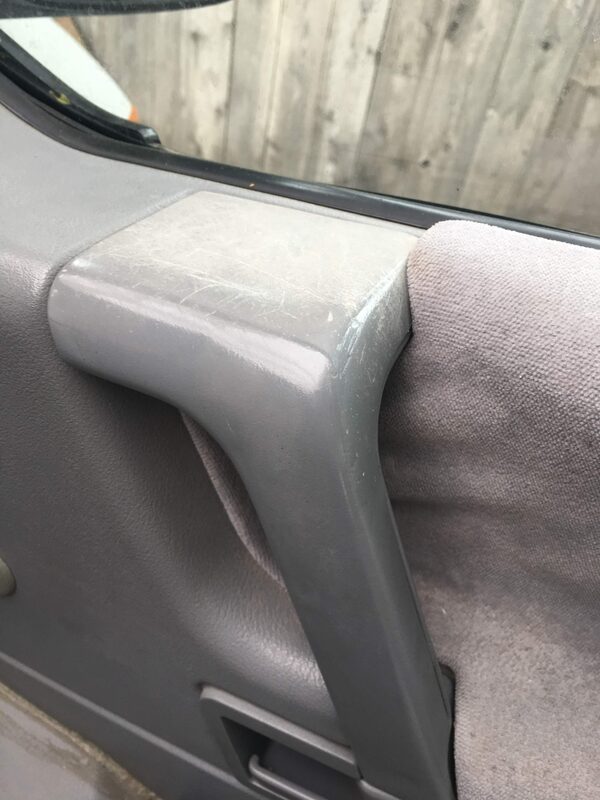 I also had to glue the manual window roller covers (taken from old) on to the new ones. 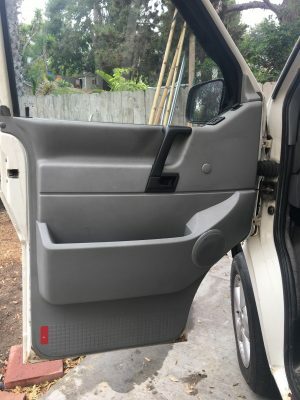 If you’ve ever taken the door apart, you know it is pretty easy. I took my time so I’d estimate that the job took the entire day (though I had to break it up, family duties). Here are some photos of the old and new. 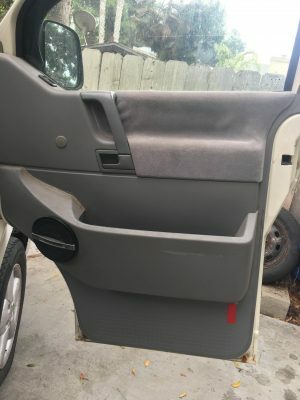 Where did you purchase the new door cards? Looks great! I was able to locate a similar year Eurovan at a local junkyard. There is a popular chain of junkyards in Southern California that has an inventory of vehicles and allows you to receive alerts when your desired vehicle(s) enter one of their lots. Very helpful to get a jump on the competition.